Primeur release celebration originates from France, the region of Burgundy, where young wine is produced from Gamay grapes and traditionally released every third Thursday in the month of November. 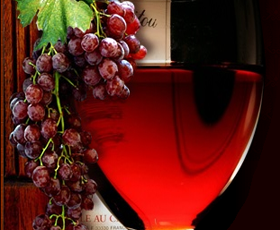 During the weekend, on 24th and 25th November, 2012, the refurbished hotel Metropol (address: Bulevar Kralja Aleksandra 69, Belgrade) will be the venue of the 3rd Mediteraneo festival of wine, gastronomy and wine tourism. For the first time in the history of EWBC, Serbia has joined the list of 40 countries which participate in the most important conference of wine bloggers, wine writers, social media managers in the domain of wine industry, wine critics and connoisseurs. For the second time, DELTA CITY shopping mall in New Belgrade will become a gathering point where all wine lovers can find selected wineries and taste or buy their wines at affordable prices. Having heard the results of wine evaluation for the best wine of Serbia in 2012, you might have concluded that there were no surprises. Jury of the competition just reconfirmed a perception that an average wine consumer already has – Aleksandrović and Radovanović Cellars are the tops of Serbian wine-making scene.